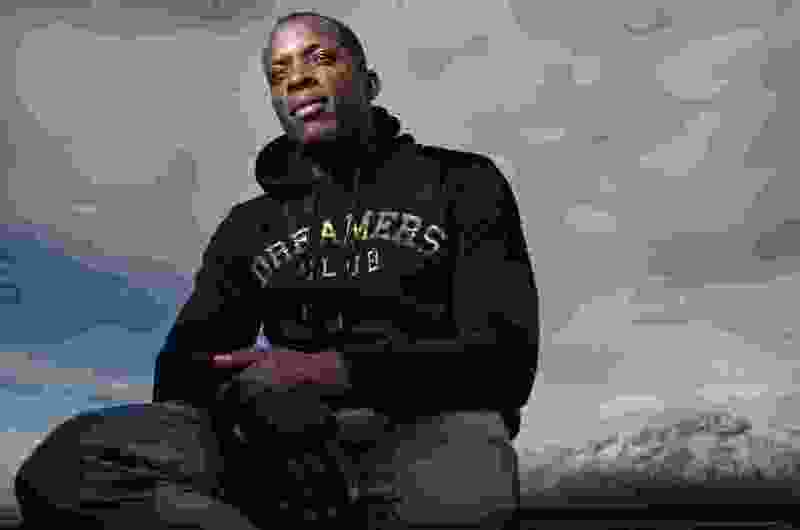 Leah Hogsten | The Salt Lake Tribune Real Salt Lake center back Nedum Onuoha has been outspoken about racism back home in England. In the offseason, Onuoha who worked as an analyst for BBC Manchester and was at the game where Manchester City star Raheem Sterling was accosted with racist slurs at Chelsea's Stamford Bridge. It's an ongoing system trend in worldwide soccer. Nedum Onuoha was in studio to analyze a duel between two of the world’s most-recognizable clubs, but once again, racist taunts spilled from the stands onto the field, making soccer become secondary. Now a center back for Real Salt Lake, who does some commentary work for BBC Sport in the offseason, Onuoha immediately noticed the body language between the player and fans during this exchange and he assumed the worst. His intuition proved right. The taunts from a small group of Chelsea fans at Chelsea’s Stamford Bridge stadium in early December were targeted toward a budding young star of the sport, Manchester City’s Raheem Sterling. Onuoha grew up in Manchester. It’s where his family relocated from Nigeria when he was 5, where his family’s car windows would get smashed in not at-random, where he’d eventually endure his first of many bouts with systemic racism. So when he saw the interaction between Sterling and the Chelsea fans, Onuoha figured that invisible line wasn’t just crossed, it was trampled over yet again. What ensued was typical: the clubs investigate, police investigate, a conclusion is reached, there is usually some type of formal punishment or bans, and fans await the next whistle to be blown. Sterling, however, refused to let it slide. He took to Instagram that following Monday to discuss racism in soccer in England, about how black athletes are portrayed in the media and how, when so many refuse to step into the spotlight and keep the conversation moving ahead, he was going to be the one who let the world know there is still so much hate and the game provides a direct pipeline for it to be voiced in front of tens of thousands. Onuoha came up in Manchester City’s academy system and went on to star for his hometown club, now considered one of soccer’s most influential worldwide. The 32-year-old recounts, though, how swiftly the headlines shifted in the wake of this latest incident. Sterling’s brave social media post was swept aside by Champions League headlines featuring a big Liverpool win, then Manchester United canned coach Jose Mourinho. A serious story surrounding a face of England’s national team for years to come was relegated to the depths. Just this week, Sterling had to put his arm around 18-year-old Callum Hudson-Odoi after the Chelsea teenager experienced blatant racist taunts in England’s 5-1 Euro 2020 qualifying win at Montenegro. Fans made monkey chants at the black English players. Sterling cupped his ears, smiled and stared back, letting those chanting know he would not be rattled. The photo of Sterling standing defiantly was front page on sports section back in England. At 13 and on tour with Manchester City’s academy in Switzerland, Onuoha had fans hurling the N-word at him in a largely empty stadium. His earliest recollection of these racist taunts came when he was 11 on a school trip to Austria. When he was playing with the England U-21s, Serbian fans began making monkey sounds. It started with a cluster of 20 or so, then upped to 100, and suddenly he estimates as many as 500 fans were hollering in unison. It wasn’t just on the soccer field. In the early 2000s, he couldn’t walk into a convenience store without being tailed by a store employee, assuming he might be a threat to shoplift. People would move to the other side of the street if they saw him walking with a hood on, even in the pelting Manchester rain. It’s what he details as subconscious racism. He’s telling his story because this is commonplace overseas, and like Sterling, he knows the only way to enact any sort of change is to confront this behavior. The intensity of fandom is, well, different in MLS. Onuoha chuckles re-telling a story of RSL fans applauding the team after a 4-1 home loss last season. In England, he explains, the only fans left in a home stadium in that scenario would be there simply to boo you. Jonathan Liew, a chief sports writer at The Independent in the U.K., has penned columns on the ongoing issue of racism in soccer. Even with more incidents popping up throughout the world, it doesn’t mean there’s a rise in bigotry — Liew raises the reality that there is more surveillance at matches and the mediums to share information are more prevalent now than ever. But it’s also how some players are portrayed consistently in the media that may shape the views of certain fans from certain clubs. At a recent sports journalism association awards banquet, the sports editor at The Daily Mail accepted an award for outstanding coverage. 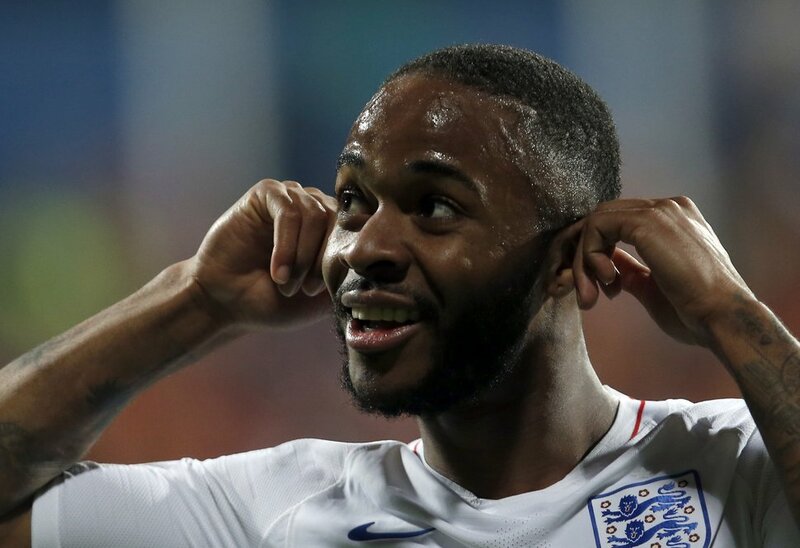 During the speech, he referenced Sterling standing up to wrongs and admitted that much of the English sports media haven’t covered the matter of racism in sport as well as they should’ve. Onuoha elaborates on this chronic misstep: language in the press, especially when it comes to English soccer, can have such an influence on how the reader digests a topic. Sterling’s social media post also pointed to differences in how two Manchester City players were treated differently by the media. A headline read that Phil Foden, a talented midfielder, bought a dream home for his mother. Foden is white. Conversely, his black teammate Tosin Adarabioyo, bought a house and was slammed for buying an expensive home even though he’s yet to start a league match for City. Liew said black athletes have been routinely praised for their speed or power rather than their strategy or intelligence. The hatred spewed at Everton Luiz cut deep, and once the referee signaled the end of the match, he could no longer keep it buried within. His eyes welled up and the tears flow, because for 90 minutes, he heard things he’d never heard before: the monkey chants, the racist epithets, such vile extremes that the Brazilian midfielder responded by flashing a middle finger to the FK Rad fan base. Luiz, now a midfielder at RSL, was playing for Partizan Belgrade in Serbia when the March 2017 incident happened. Wire photos of Luiz crying went viral in the soccer world. And to add to the ridiculousness of it all, Luiz was fined for his hand gesture. Like Onuoha, Luiz reiterated: once it happens to somebody, it’s talked about and in a matter of days, it’s soon forgotten by the larger soccer world. Liew, the sports journalist, believes the advent of social media has provided safe spaces for racist factions associated with soccer clubs in various countries to swell. The slow rise of nationalism in some areas might play a role in the increasing amounts of racial incidents in the sport, too. Even this year, a far-right nationalist fan group has been spotted at New York City FC matches in MLS. Onuoha holds a real belief in the younger generation. He believes there’s a better social understanding of what’s acceptable now. He wants more empathy from person to person, no matter race, gender, sexuality or background. Above all, he wants people to be educated on the differences, and realize that it’s perfectly fine to put yourself in someone else’s shoes, someone you might know nothing about. “There are two types of people: the one who says the other person’s wrong, because they refuse to see that person’s point of view and the ones who are willing to trust in other people and their view and respect it and that it can be different,” he said. Onuoha hadn’t heard of Luiz’s experience in Serbia, but when the information was relayed to him, his voice dropped a bit and his head hung for a few seconds.